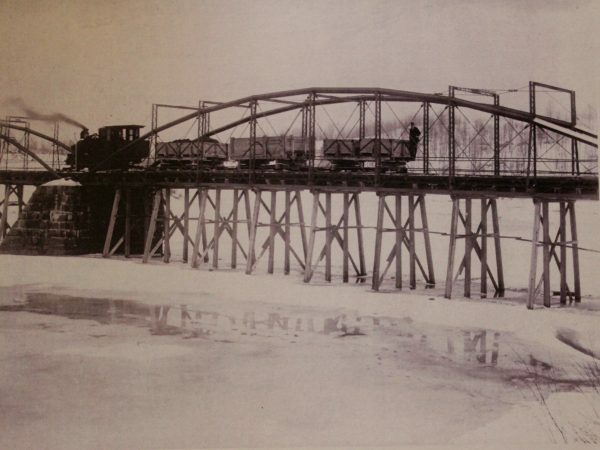 This photo was taken on March 4th 1934 – a historic day in North Creek. 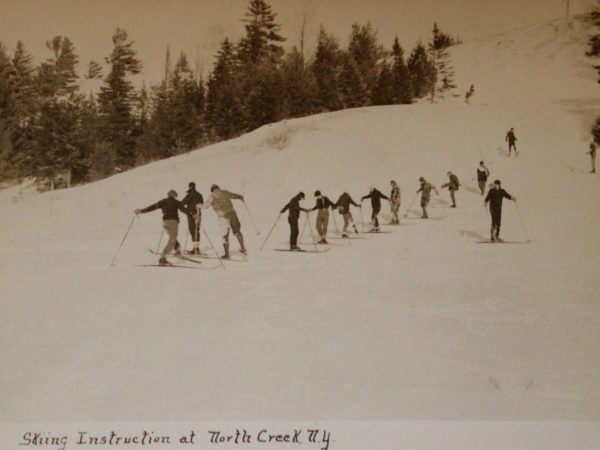 On this day, the first ski train from New York City arrived, carrying with it skiers who would stay in local boarding houses and ski at Little Gore, Gore, and Garnet Hill, as well as other local ski areas. 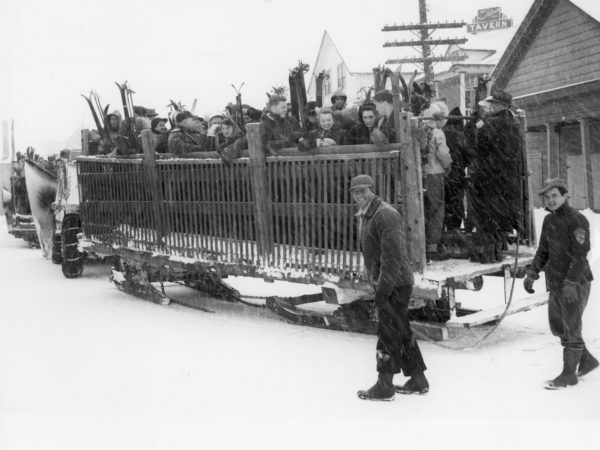 The ski train (officially called, “Winter Sports Excursion”) provided an important source of winter income for the town. 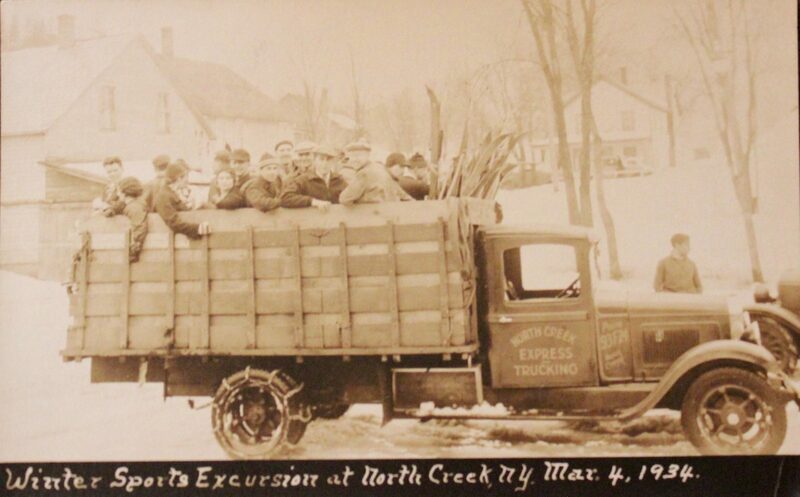 As many as 3,000 skiers would come each weekend to the North Creek depot, where they would unload from the train and be picked up by locals. 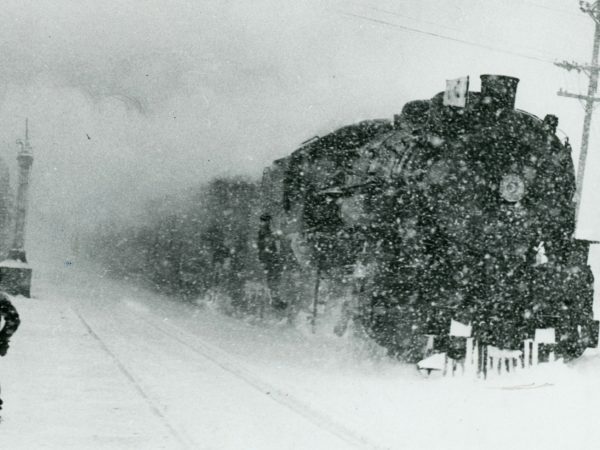 March 4, 1934. 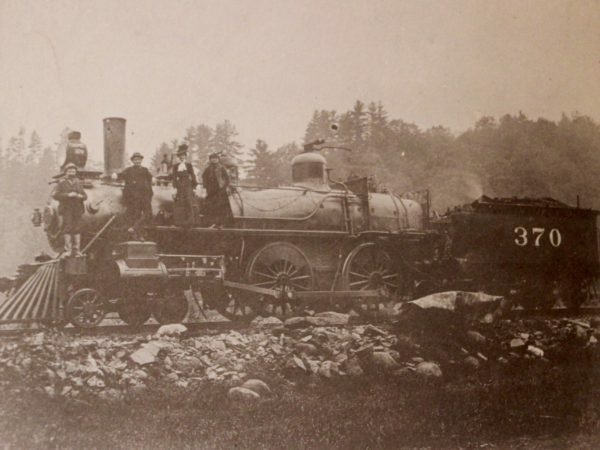 North Creek, NY. 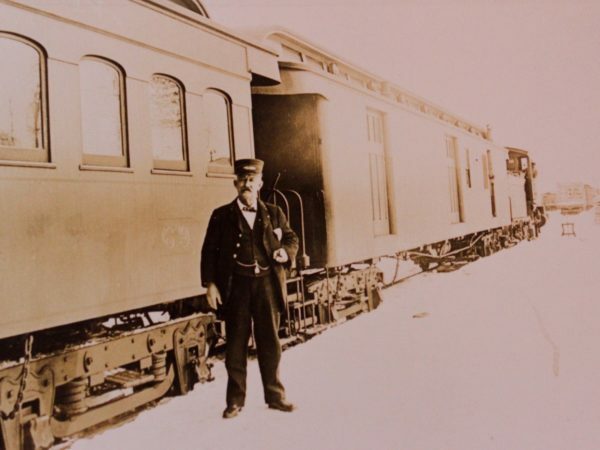 Photo courtesy of the Johnsburg Historical Society.